Do you ever think that it would be nice to have a simple Christmas? Maybe you’re just sick of all the hustle and buying and crazy busyness that seems to surround the holiday season. Or maybe you just don’t have the budget to go big and want to keep it simple to not go into debt just for one holiday. 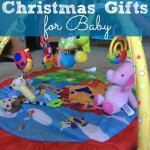 Whatever your reasons, you want to have a simple Christmas this year…but you have kids. You probably don’t think it’s possible to keep it simple with kids. I mean, they have a wish list, you want to take them to see Santa, you want to do all the parties, etc. If you’re struggling to figure out how to have a simple Christmas with kids, keep reading. It can be so tempting to buy everything your kids want for Christmas or at least the hottest (and expensive) item. Don’t give into temptation! Keep it simple. I love the idea of four gifts per kid: one thing to wear, one thing to read, one thing they want, one thing to create. Things to create could be anything from a craft kid to a bunch of small craft supplies to a puzzle to one of those engineering themed items. It all depends on your kid. Another idea would be to do one big family gift then smaller wants for each child. Big gifts could be a trampoline or some type of game/game system. Some people I know do experience gifts instead of stuff gifts, like a membership to a children’s museum or zoo. Experiences could even be a vacation or camping trip later that year. You don’t have to go to every party, every parade, every festival. You just don’t! Choose just the ones that are favorites. If money is a factor to your desire to simplify, also keep in mind the activities that are most affordable or worth the expense. Does your kid really not like the parade all that much but you think it should be done? Just don’t do it! Depending on the age of your kids, it might be a good idea to include them in the decision of what activities to do. They will likely love having their opinions taken into consideration. My children have zero interest in visiting Santa but they do love a trip to the mall to see the big model railroad display that gets put up every Christmas. Getting a picture with Santa costs $30 whereas visiting the train display is free. Maybe your kids love going to a certain party but really don’t enjoy driving around looking at Christmas lights. So cut out the driving around looking at lights and go to the party! Gas is expensive anyway. 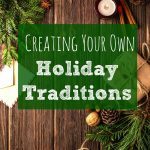 😉 Make your own traditions with your kids instead of worrying about doing all the things you’re “supposed” to do. When I was first married, I was into creating my own Christmas village. You know, the little models of a village with houses, ponds, parks, people figurines. I had always wanted one growing up and was excited to finally have my own. That lasted about four years. Then I got sick of the setup and tear down. It was a pain to unpack every building. Little foam pieces from the packing materials got everywhere. I had to find ways to hide cords. It just became extra work. I don’t do it anymore. You might have something similar. Putting lights on the outside of the house can be a lot of work. There’s no shame in wanting a simple Christmas and cutting out the decor items you just no longer are into. You might decide to do it a different year but it’s okay to cut it out this year. As long as you include the kids in decorating the house, that’s the part that they will remember, not what you had for decorations. A big part of making a simple Christmas with kids is just staying home. 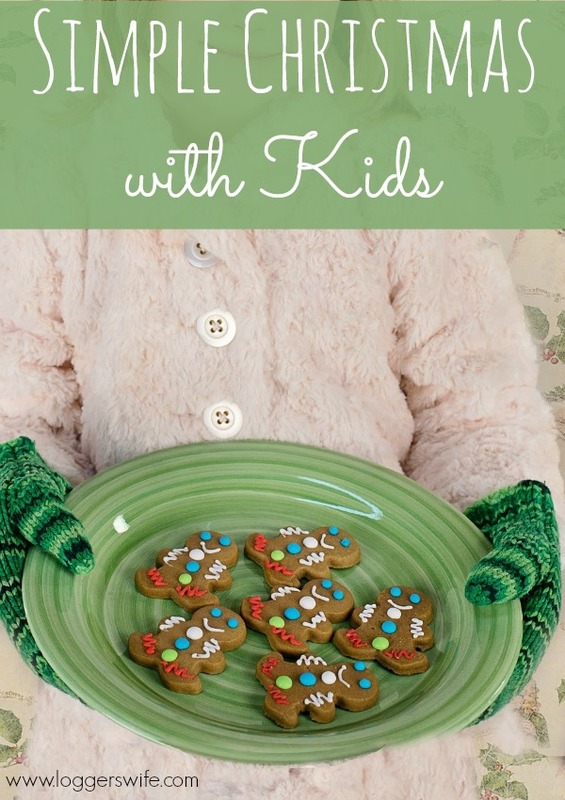 There are lots of things you can do with kids for Christmas that don’t take a lot of set up or money. Have you ever made your own tree ornaments? Check out some simple ideas on Pinterest and plan a night where you all create ornaments. 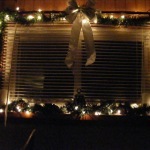 You could even just do paper chains or string up popcorn and cranberries to put outside for the birds. Planning a movie night once a week is also a great way to keep it simple but fun. The library often has a decent collection of Christmas movies. You can also find a bunch of holiday movies on places like Netflix. Put on pjs and make some hot chocolate and get comfy. A simple Christmas with kids is very possible. All it takes is a little thinking and a bit of intentionality. Creating a simple Christmas can help your kids (and you) not get caught up in all the material and hectic parts of the holiday season. With a little of bit of planning, you can have an enjoyable but simple Christmas.